Looking to try Sam’s Club but aren’t ready to commit to the membership? 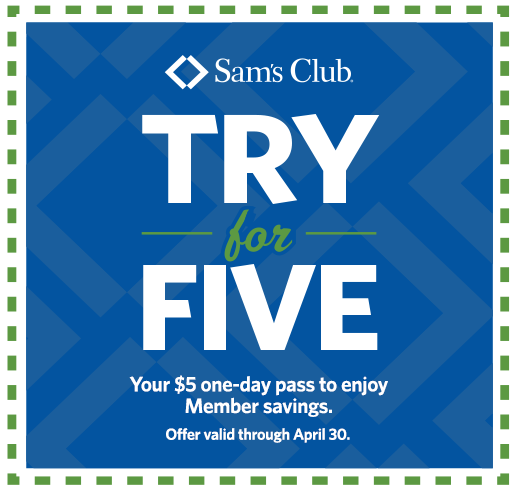 Through 4/30, you can get a one-day pass to Sam’s for $5! If you decide after your visit that you would like to purchase a membership, you will get a $5 Sam’s Card gift card back. This is a great way to try the store and see if it’s for you. Offer valid through 4/30. There are several membership benefits depending whether you choose Sam’s Plus, Business, or Savings. Check it out!